On Thursday 20 September, a sepsis champions event will be held at De Montfort University (DMU) in Leicester. The event, which aims to educate nursing students about sepsis and raise awareness of the condition, was held for the first time last year. It was a huge success, with more than 200 students registering to attend. This was more than I could have hoped for as a first-year nursing student feeling very out-of-my-depth, but the feedback was really inspiring, further driving my passion to make a difference to sepsis education on a national scale for nursing students. 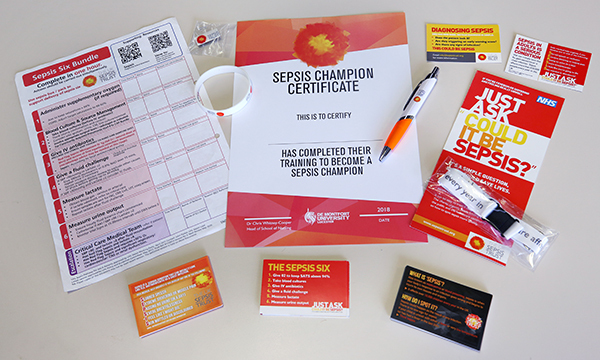 More than 100 students were trained to become sepsis champions last year, and with more than 168 students registered to attend this year, it will bring the total count to 272 sepsis champions. The students at last year’s event said it increased their confidence in their approach to sepsis when on placement. One even used the information she learned on the course to help save a man’s life at a football match; she had implemented the sepsis pathway before he had even reached hospital, significantly improving his chance of a full recovery. Data from the UK Sepsis Trust shows that 44,000 people in the UK die from sepsis every year, and at least 14,000 of these cases might be preventable. This only strengthens the case for improving sepsis education at a national level. The sepsis champions initiative aims to instil knowledge of sepsis in students before they become qualified nurses. Although we learn the theory in university, such as the reasons why sepsis occurs, there was a need to explain the significance of the condition. The aim is for students to understand the importance at all times of asking ‘could it be sepsis?’. Starting next year, a sepsis education programme will become part of the curriculum for nursing students at De Montfort University in the form of a two-part lecture. Part one will include statistics and the definition of sepsis, and part two will cover pathophysiology and treatment. The statistics will be taught first to help students understand the severity of sepsis, with the aim of improving their concentration during the important second session. 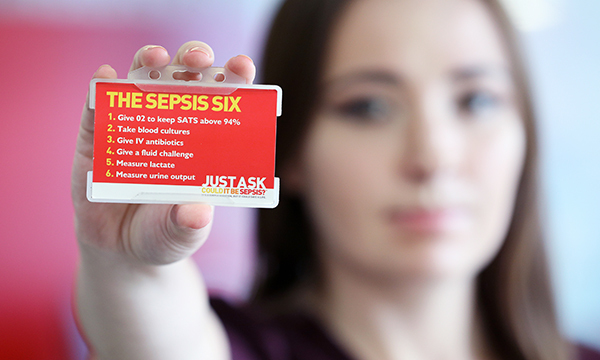 The idea for the education programme came from a conversation with UK Sepsis Trust chief executive Ron Daniels. He had been working on a programme to improve the standard of education across all healthcare professions, and when he approached me about running the education programme for nursing students, I jumped at the chance. It will be added to the module ‘managing the deteriorating patient’, with the ‘A to E’ approach featuring heavily in the lecture slides to help students with their exam. The programme will be piloted this week at the DMU sepsis champions event, with UK Sepsis Trust lead nurse Georgina McNamara going through part one of the course. Other speakers include University Hospitals Leicester (UHL) sepsis specialist and critical care outreach nurse Clair Sandy, who will talk about sepsis screening, antibiotic resistance and how the trust is dealing with a recent outbreak of carbapenem-resistant organisms (CRO). Students will then have a screening workshop where they will practise filling in the news2 (national early warning score) and sepsis pathways following patient scenarios. They will be asked to hold up a green, amber or red card to see if they followed the pathway correctly. First-year learning disability nursing student Patrick will be presenting his leaflet, which he designed as part of his health promotion module. This clearly displays the symptoms of sepsis, making it easier for people with a learning disability or brain injury, or those who have had a stroke, to understand their diagnosis and treatment. I will be speaking to the students about my own experience of surviving sepsis, and what it is like to experience post-sepsis syndrome. 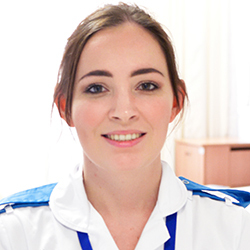 It is important for nursing students to understand that sepsis doesn’t end when the last antibiotic is given and that the long recovery process can involve many aspects, including severe anxiety, sadness, fatigue, muscle weakness, difficulty concentrating, memory problems and for some who have lost a limb, difficulty in adjusting to this. In fact, sepsis never quite leaves you. There will be stalls at the event, with the UHL sepsis team having additional information for students, and there will be a 'sepsis board game'. When I leave university next year, it feels wonderful to know my work will still be helping students to understand what sepsis entails. My personal tutor told me it is a big legacy and I’m truly thankful to all the nursing lecturers who have supported this project, particularly programme leaders Richard Postance and Jo Bird. I hope the course can be introduced at other universities in the future, and I will continue to work hard to make this happen. All nursing students deserve this standard of sepsis education, which will improve patient outcomes in the long term.